CloudFone Thrill 450q is another Android Jelly Bean smartphone powered by a Quad Core processor that will challenge other Android devices in the Philippines, like the Starmobile Diamond V3, Cherry Mobile Omega HD 2.0, MyPhone A919i Duo, and other local Android phones. The CloudFone Thrill 450q is not only built with some good specifications, but the price is competitive as well. Check out more details below. 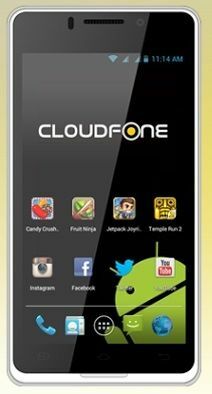 The CloudFone Thrill 450q is powered by a Quad Core Qualcomm Snapdragoon S4 clocked at 1.2GHz, paired with 1GB of RAM. 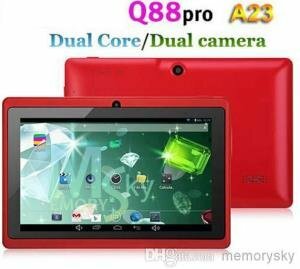 It runs on Android 4.1 Jelly Bean out of the box, and its graphics processor is an Adreno 230 chip. It has a nice 4.5-inch qHD IPS capacitive display at 960×540 resolution and a 245 pixel per inch density. The CloudFone Thrill 450q features One Glass Solution Technology or OGS type of display. This is a type of technology in where both the touch sensor and cover lens is integrated into one glass, reducing the cost of the display, and making it thinner and lighter. The CloudFone Thrill 450q has also dual SIM functionality, one micro SIM and one regular-sized SIM. It has a nice 12 megapixel rear facing camera with BSI technology for those who love to take photos, paired with a 3 megapixel front facing camera. It has basic connectivity features like Bluetooth, microUSB 2.0, and WiFi 802.11 b/g/n. Sadly the Bluetooth technology used here is only version 3.0 and not the latest 4.0. The Thrill 450q has also GPS with A-GPS, Wireless Hotspot and HSPA. But not all things are made perfect. One thing that I didn’t like about the Thrill 450q is that it is only powered by a 1,800 mAh battery. Battery life is short and expect that you will have to recharge this phone at least once a day or more depending on your use. The CloudFone Thrill 450q has a suggested retail price of Php 8,999 and is now available nationwide.